Your car isn’t driveable, in most cases you will need to call a tow truck. You can nominate to have your vehicle towed direct to Horton Auto Body & Paint or direct to us from the City impound yard. Not quite that serious? It might just need minor repairs. 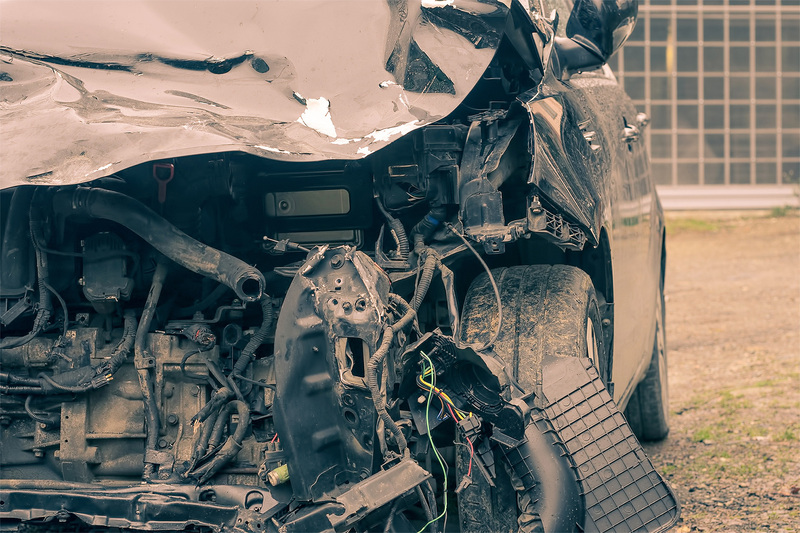 Contact your insurer as soon as possible after the accident. You have the right to choose your repair shop, so you can request your car is taken direct to Horton. Once it arrives we will let you know. We receive the go ahead from your insurer to prepare a detailed estimate. This can take a few days, especially if it is a write off, as your insurer may want to send out their own appraiser. Our skilled technicians complete a thorough “tear down” to make sure all damage is inspected and there is no hidden damage. This estimate is submitted to your insurer and once it’s approved we can book you in. Our reception team are waiting to say howdy! When you arrive, take a seat in our warm office and fill out our Welcome form. We promise; once you’re in our records we won’t ask any more annoying questions! If you’ve got time, help yourself to a freshly brewed coffee our records we won’t ask any more annoying questions! One of our friendly estimators will inspect your car, take photos and put together an estimate. You can wait, or we’ll email the estimate to you. All estimates are checked to make sure they meet industry standards. Your estimator is now your “go to guy” for the rest of the job. It’s important to get your job scheduled. In summer months it can be almost straight away, but ice and snow can mean longer waits in winter. We will call with a reminder the day before your car is scheduled, oh and it’s a big help if your car is clean! Once your car is booked in we can go ahead and order parts. We use both Certified Used Parts and Direct from the Manufacturer Parts where there is a price match guarantee. Parts aren’t stored on site but are usually delivered same day or the following day if available. If not, we’ll call you. You can drop your car off any time after 7.30 and sign off on your work order. If you have “Loss of Use” cover you don’t have to wait around, our on-demand courtesy shuttle will take you to our nearest rental car depot which is about 5 minutes away. Within an hour of drop off, your repair job will be assigned to one of our technical experts depending on the type of damage. Our supervisors monitor each job and daily progress. We’ll contact you the day before to let you know when your car will be ready to collect. Armed with the very latest technology we guide your car through the repair process from the frame machine and aluminium welding to the paint shop. Whether it’s a minor or major repair, we check and double check to give you premium quality control. Pick up anytime after 7.30am. The rental car company should drop you back at Horton or our courtesy van can pick you up. Once here, you’ll need to pay your deductable by cash or card and then our estimator will hand over the vehicle and walk you through the works that’s been done. You may not have control over your accident, but you do have control over who you choose to repair your vehicle. As the car owner and the one who pays your insurance premiums it’s your right to choose the auto body shop you want. At Horton Auto Body & Paint you’re choosing a family owned company that is committed to training and development and using the latest technology to get guaranteed quality results every time. You, our customers, are number one in our book! We’ll do everything we can to make your life easier and keep you updated and informed with a smile.